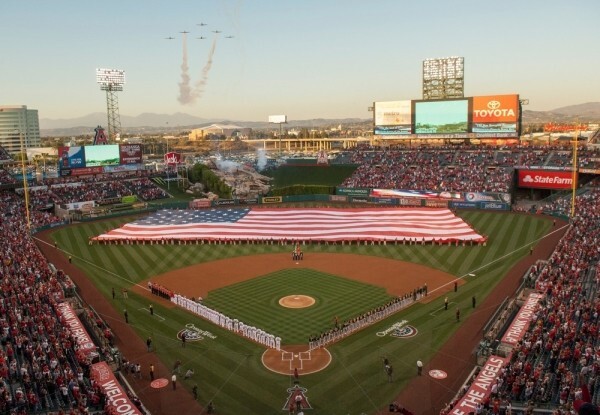 Hit all the West Coast’s major league ballparks on one grand tour. When you want to sample local culture, you go where the locals hang out. So for a sports fan who yearns for the authentic summer experience of food, beer and cheering on a team under the sun, visiting a Major League Baseball stadium on the West Coast for as little as $5 admission offers the chance to rub elbows with the local fans and eat what they eat, and watch their home team play. Throw in a road trip that will take you to all five of California’s major-league teams, and you’ve got a baseball odyssey that will satiate the appetite of the most diehard fan. The Vibe: Completely laid back. Who cares about winning or losing when you’re basking in America’s best weather? Tickets: Great seats (field level between first and third base) start at $86.50. Get in the park for $12.50. Make Sure to Try: Hodad’s is a beloved San Diego burger joint that’s been serving up burgers several inches tall since 1969, and boasts a locale in Petco Park. Baseball Reason to Go: The Friars haven’t had a winning season since 2010. Did we mention the beautiful weather? The Vibe: Angel Stadium sits just three miles from Disneyland, and the spirit of the Magic Kingdom can be found in the stadium’s clean, family atmosphere. A popular activity is to go out to the portals to watch the Disney fireworks that go off every night. Tickets: Great seats start at $81.50. Get in the park for $5. Make Sure to Try: The carb-fest of the potato taco—a deep-fried corn tortilla filled with mashed potatoes and cheese—at Chronic Tacos. Baseball Reason to Go: The roster has several players formerly of the Angels’ AAA affiliate Salt Lake Bees. The Vibe: Stereotypes are sometimes true: Dodger fans show up late and leave early, and you would too if you had to battle traffic and get to work the next morning. But since you’re on vacation, you canÂ hit allÂ nine innings while enjoying the iconic view of palm trees and mountains beyond the outfield. Tickets: Great seats start at $160. Get in the park for $10. Baseball Reason to Go: Yasiel Puig is the most exciting—and most unpredictable—player in baseball. The Vibe: It’s hard to think of a more picturesque setting than a ballpark, with a bay on one side and beautiful city on the other. Tickets: Great seats start at $97.50. Get in the park for $8. Make Sure to Try: Gilroy Garlic Fries loaded with parsley and minced garlic. Baseball Reason to Go: The Giants won the World Series in 2010 and 2012. We’re now in the next even-numbered year of this decade. The Vibe: Let’s focus on the positives. It holds 63,000 but generally has crowds of just over 20,000. There’s plenty of room, and low prices. Otherwise, it has bad plumbing and is the only MLB park that doubles as an NFL stadium. Tickets: Great seats start at $52. Get in the park for $6. Make Sure to Try: Ribs & Things. Order a slab and add sweet potato pie for dessert. Baseball Reason to Go: This is the Moneyball franchise that revolutionized the game and continues to winÂ with a small payroll. It’s the baseballÂ equivalent of seeing your favorite indie band at a dive bar. It proves you’re a true fan of the game. Saturday, May 24, Cubs at Padres, 7:10 p.m.
Sunday, May 25, Royals at Angels, 12:35 p.m.
Tuesday, May 27, Tigers at A’s, 7:05 p.m.
Wednesday, May 28, Cubs at Giants, 12:45 p.m.
Thursday, July 24, Astros at A’s, 12:35 p.m.
Friday, July 25, Dodgers at Giants, 7:15 p.m.
Monday, July 28, Day at Disneyland, Beach, Getty Museum, etc. Tuesday, July 29, Braves at Dodgers, 7:10 p.m.
Wednesday, July 30, Cardinals at Padres, 7:10 p.m.
Now go out and enjoy classic American summer with the national pastime.